Wow! One year has now passed since I was called me to be pastor at Craft Baptist Church. Thank you for making us feel so at home here at Craft Baptist Church. Craft has had a special place in my heart since I started attending here in 1986 as a Freshman in JBC. You were welcoming and were willing to help educate us young preachers then and that hasn’t changed. I would never have dreamed God would bring me back here, this time with a family to be your pastor. We are so blessed to serve the Lord here with you. Thank you for celebrating our1 year anniversary last week and for the generous love offering. We are overwhelmed by your love and support. You set an example for all churches in showing appreciation and support for us. I can’t wait to see what God has in store for us in the future at Craft Baptist Church. I pray that He continues to bless us and gives us many years together to bring glory to Him as we share His love with our community. Thank you! Two simple words, yet combined they have great power. Everyone likes to feel appreciated. We all want others to acknowledge what we do. We don’t serve for the praise of man, but it is nice to be appreciated. Many people walk away from churches because they feel unappreciated. Today, I want to express my appreciation to you. To every church which blessed me by allowing me to serve in staff I say thank you. I especially appreciate my early churches. You put up with me when I thought I knew everything. You helped mentor me and blessed my family. I am amazed as I reflect back to how much you had to tolerate as I was taking my firsts steps in ministry. I am also overwhelmed with gratitude for LBC Mexia for allowing me to serve here for 17 years. When I became a pastor, I hoped I wouldn’t have to move much. I never in my wildest dreams imagined I would be able to stay at one church for nearly two decades! The typical tenure for pastors is 4 years. You have been amazing people. It is your hard work and sacrifice that keeps us moving forward. Thank you for supporting us through difficult times. Thank you for loving us with all our faults. I love you and am grateful to be your pastor. This Thanksgiving, let’s take time to give thanks and show appreciate. 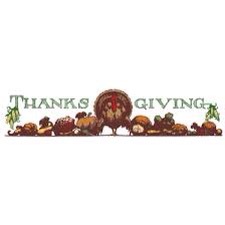 Author JamesPosted on November 21, 2014 November 22, 2014 Categories ThanksgivingTags thanksgivingLeave a comment on Thank You!